Celebrate our Hot Peppers and Fall Harvest. Fun filled days of contests, live music & entertainment, arts & craft exhibits, good food and lots of hot sauce! 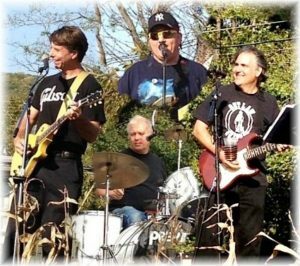 We have scheduled two days packed with Fall Family Fun, something for everyone. Hot Sauce Eating contest, Hayrides to the Pumpkin Patch, Salsa Making contest, Pumpkin Picking, Hot Pop Lick-A-Thon, Corn Maize, Hay Maze, Hot Spiked Sweet Corn Eating contest, Daisy Belle Bounce House, Laser Tag Shooting Gallery, Corn Cannon, Cooking Demo, Local Agricultural Products, Hot Sauce Giveaways, Farm Friendly Animals, Arts & Crafts, Antiques, Pony Rides, Good Eats, Fresh Pies & Baked Goods, Farm Fresh Foods & Produce , Mums, Cornstalks, Straw & Decorations, Local Milk & Cheese, And So Much More!!! An affordable day for the entire family, $10.00 per car gets you into the Festival! ENTER ONE OF OUR CONTESTS! DON’T BE SHY! GIVE ONE A TRY! The winner of each contest will receive a trophy and bragging rights! Everyone is invited to participate in the contests. No entry fees, winners will receive a trophy and bragging rights! Sign up in Kaycee’s Pavillion and be ready to go 15 minutes before the start of the contest. 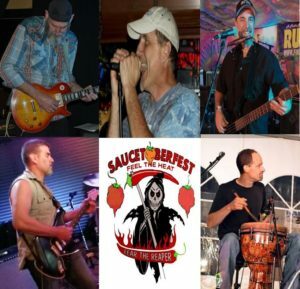 Hot Sauce samples will be available at vendor booths, anyone taste testing is encouraged to vote for their favorite sauce company’s hot sauce by filling out a form and dropping it in the “voting basket”. The company with the most votes is the winner of the Customer’s Choice Best Hot Sauce Annual Award for 2018! Salsa entries must be home made (16oz) from fresh ingredients and kept on ice (in a cooler) in a closed container. Bring a bowl that is 6-8 inches wide (for testing). Salsa will be judged on a scale of 1 to 10 in each category; Flavor, Texture, Appearance and Heat in relation to balance of flavor. The salsa with the highest cumulative score wins! 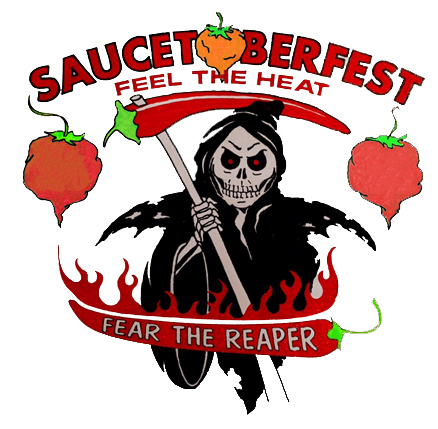 Please sign up ahead of time by calling 908-782-2705 or send an email to saucetoberfest@gmail.com, last minute contestants please sign up in Kaycee’s Pavillon on Saturday and Sunday October 23rd & 24th. The Whitehouse Rescue Squad provides Emergency Medical (EMS) & Rescue Services to all of Readington Township, and parts of Tewksbury Township and Clinton Township. Portions of this fundraiser will benefit the squad to help offset costs such as fuel, training, equipment, etc. The squad is non-profit and relies on donations and fundraisers to help us operate. The squad will be assisting at this event and we hope to see you there! 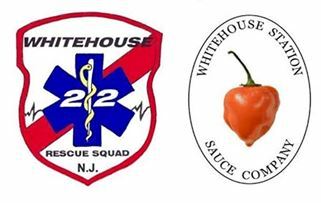 Whitehouse Station Sauce is a family owned and operated company located in scenic Hunterdon County, New Jersey. We hope you enjoy our gourmet sauces. From our kitchen to your table!